So Your Pool Is Open, But It’s Too Cold to Swim? Home » Blog » So Your Pool Is Open, But It’s Too Cold to Swim? So your pool is open, but the weather isn’t cooperating? You may want to consider a pool cover to help with energy conservation. Whether you area heating your pool mechanically with a heater or garnishing the sun’s rays, you want to keep that heat in the pool. Pool covers have been found to be a very effective way to conserve energy, as well as saving money. By utilizing a pool cover (not a safety cover) such as solid track covers, foam covers, bubble covers and solar disks, you can help the water that was heated during the day to stay in the pool and not radiate toward the cooler night sky. This will reduce your utility costs if you are using a pool heater, heat exchanger or heat pump. If you aren’t heating or conserving energy in your pool and aren’t using it because the temperatures aren’t just warm enough for you to swim, you need to take a few steps to make sure that your pool still stays “swimmable”. Although you may not be swimming, you still need to be maintaining the pool to prevent against algae and staining. 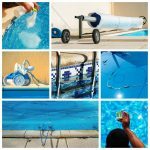 This means you need to clean your pool with regular vacuuming, skimming, brushing and empty all of baskets. You also need to maintain proper water chemistry and make sure your filtration system is running a sufficient amount of time to circulate the water to prevent from algae from clinging and growing. 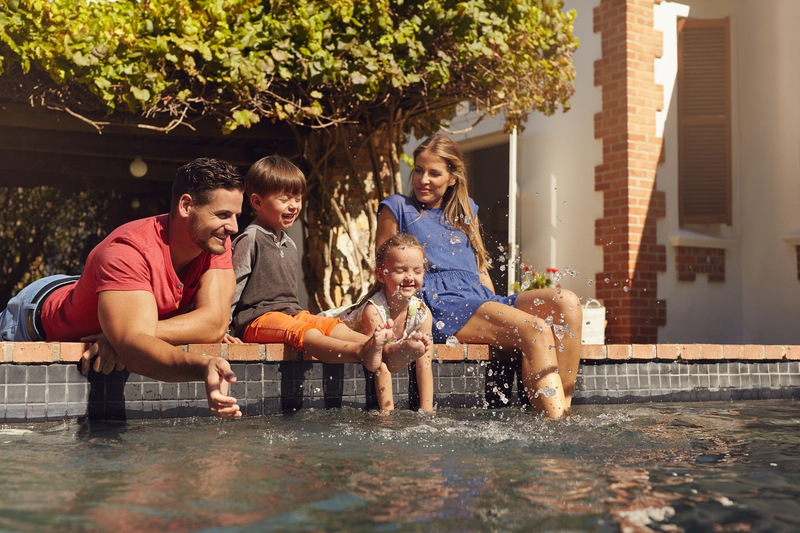 By taking the time now to maintain your pool, you will ensure it’s ready for you when you are ready to jump in!